Dahlias are right back in vogue this season, thanks to their sumptuous billowing blooms in a kaleidoscope of in-your-face colours. 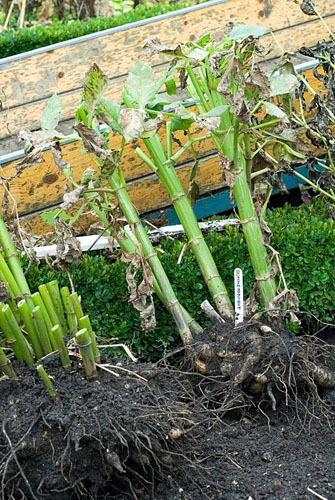 The free-flowering stems are fuelled by a collection of fleshy, finger-like tubers, which are traditionally lifted each autumn to protect from harsh winter frosts. 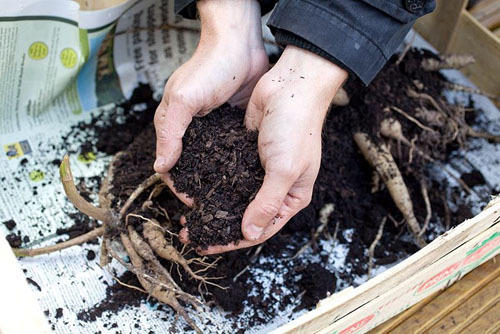 If you live in a mild, coastal site with free-draining soil you might get away with leaving them in the soil year-round, but for the rest of us, how do we go about lifting and storing them this month? 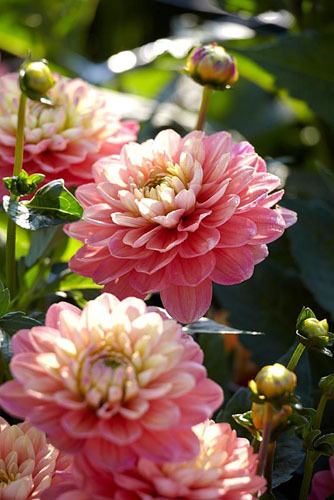 Once the first frosts hit, generally in November, your dahlia foliage will become blackened. Cut this down to just above ground level using loppers or stout secateurs. The next step is to gently tease the tubers out of the soil. 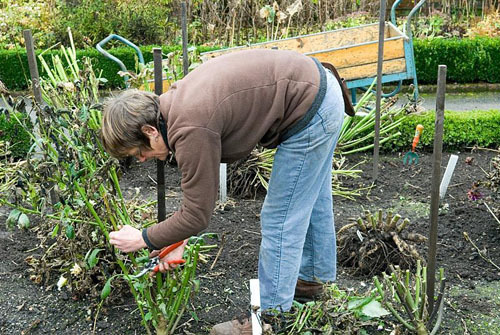 Lift them using a garden fork, inserting it well away from the clump so as not to pierce and damage the tubers. 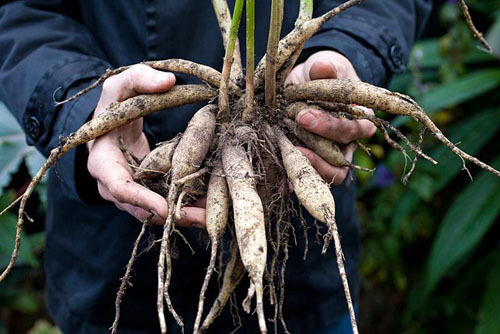 Carefully wash off excess soil from the tubers as this can harbour damaging pests and diseases. 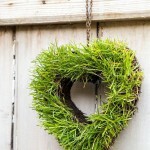 Dunk the roots in a bucket of water or push it off using a jet of water from a hose. Dust the roots with antifungal sulphur powder, and then lay them untouching in a tray. 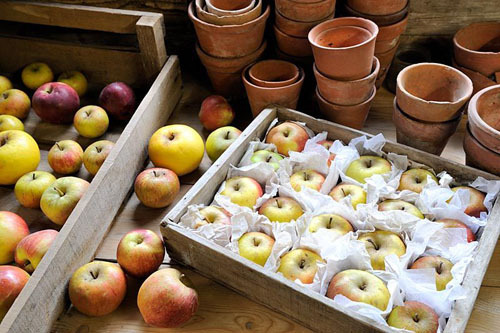 Pack them with compost and keep them dry and frost-free till the spring. 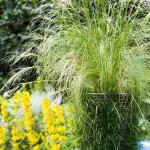 This entry was posted in Expert advice, Practical gardening on October 29, 2015 by gapadmin. 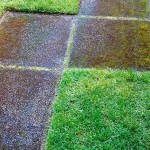 Who said blades of grass had to be regimentally arranged upon their thousands to create a flat lawn? It might well be the turf laying season, but had you thought of breaking with convention to create a living piece of artwork in your garden? 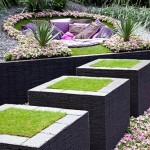 Turf sculptures can bring a quirky sense of character to a plot, or an elegant injection of style, so once you’ve considered which atmosphere you’d like to create, what ideas are there for you to steal? 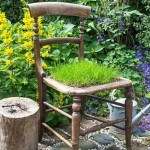 Turf seats can take many forms, from a neat, simple turf square (or rectangle if you’re feeling sociable) to a centrepiece for an upcycled wooden chair. 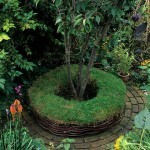 A turf spiral adds low-level definition to a lawn. If you expect children (or young-at-heart adults!) to walk on the spiral choose a hard-wearing perennial ryegrass mix. 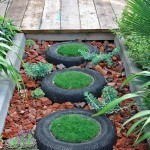 A turf heart offers an understated proclamation of your love of gardening, while a sequence of grass stepping stones or pavers provides a unique route through your borders. The secret to longevity is to ensure that the turf has adequate depth in which to root – a shallow saucer of soil will quickly dry out so be as generous as you can with your growing medium. 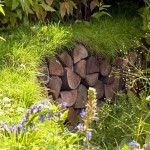 Simple mounds are easy to create with earth, packing it into layers as you develop the shape. For more complex designs with right angles and straight, well-defined edges, construct a frame out of chicken wire that you can compact soil into. 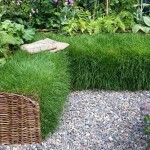 The turf is then simply laid on top of this cage to root into the soil beneath. It’s key to keep the grass well watered until it beds into the soil, so irrigate thoroughly for a fortnight at least, and then during any dry spells. This entry was posted in Style notebook on October 22, 2015 by gapadmin.